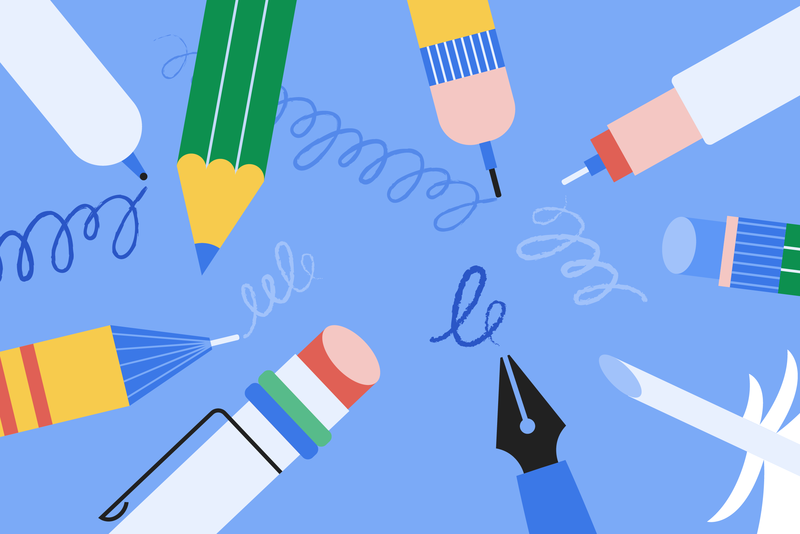 This post is part of “Words go here,” a series about writing’s role in product design. The word about UX Writing is spreading (pun intended). An ever growing number of product teams have discovered that hiring a UX Writer results in tighter, more consistent copy that’s deliberate, on-brand, and has a measurable impact on user happiness and engagement. But when that perfect English-language version needs to be translated into other languages, things can get sticky. Maybe the copy includes idioms that don’t make sense to local translators (think “it’s in the bag”). Or perhaps once the content is translated into, say, Japanese, it’s way too long for the allotted space. At Google, translation — as with most things — happens on an enormous scale. All told, we translate text for 100+ products into more than 120 languages, working with thousands of translators all over the world. That adds up to more than 700 million words a year! And the need for high-quality translations is growing, especially in emerging markets. Today there are more than 3 billion people online, with more than a billion more expected to get connected in the next few years. Despite our best intentions, we don’t always get it right. True story: a few years ago, Google’s hotel search had a live UI where “Book a room” was translated into Spanish as “Libro una habitación,” libro being a physical book. Whoops. Not only are translation errors embarrassing, they hold us back from our goal of creating truly global products that work for everyone, everywhere. What’s a UX writer to do to help make sure the integrity of our agonized-over native strings is maintained in other languages? Luckily, there are several safeguards to put in place. Let’s look at a few of them. Use words and sentences that are simple and clear. Target a single thought per phrase or sentence, and avoid dependent clauses and complex sentence structure. The good news: It’s a best practice for UX writing anyway. Similarly, keep your copy short. Some languages extend character count up to 40 percent (here’s looking at you, German). Long noun strings (three or more nouns in succession) can be especially problematic. Include the relative pronouns “that” and “which” (“the message that you see here” rather than “the message you see here”). These words many feel extraneous, but including them improves translation clarity. Use active rather than passive phrasing (another UX writing best practice). Saying “Submit the form” rather than “the form should be submitted” is more direct and easier to translate. Avoid colloquial and idiomatic language, unless you want some very unfortunate literal translations about elephants in rooms and time flying. The same is usually true of humor. Beware of ambiguity. Take the term “change history”; it can be read as either “change the history” or “history of changes.” Be precise with your language. Use consistent wording. Decide on a single term for a concept and stick with it, rather than saying “Rules for submission” in one place and “Submission guidelines” in another. Standardization is key. Stick with the standard English word order to avoid confusion in other languages: subject, verb, and object, preceded by modifiers (“You’ll easily learn perfect English”). Avoid abbreviations. Many languages don’t use them. Before you apply these tips to the letter, it can be helpful to define the translation goals for your project in the short, medium, and long-term. If you don’t plan to translate your UI text or only plan to translate it into a language or two, writing in global English is less important (as you can potentially spend extra time getting the translations just right in the few languages you launch in). If you’re launching in many languages and/or are planning to use machine translation, writing in global English is essential. When considering what information to provide to translators, if you have an opportunity to do so, err on the side of including too many details rather than too few. I’ve yet to see a translator complain about getting too much context. At Google, a few teams are trying out a process where UX writers write the message descriptions that accompany each string sent out for translation. Message descriptions are notes that provide translators with context about the string in the UI by telling where it appears and how it should be translated. Usually these descriptions are written by engineers in the code. However, according to several studies we’ve run, having UX Writers write the descriptions instead can be a very successful approach. Not only does it give writers more control over translation quality, it can save engineers more than a minute per string, thus helping writers make the case for more headcount. How a string will appear. Is it for a button? A drop-down menu? A header? Translators may be operating without screenshots or other visuals, so they appreciate all the context they can get. What triggers the message and what the desired user action is. Whether placeholders (areas that will be replaced by dynamic text like dates) need to be translated. How colloquial language or humor (if it’s included) should be handled. Make sure translators understand that there might not be an equivalent phrase in their language. It’s helpful to either give them a more straightforward version to translate, or the freedom (and guardrails) to come up with alternative wording in the same spirit as the original (more on this in the “transcreation” section below). Who the audience is and whether the text needs to achieve a desired tone. For example, certain error messages may be particularly frustrating, and the tone should be soothing rather than abrupt. How ambiguous words should be translated. For a word like ‘traffic,” translators need to know whether it’s a noun or a verb. The maximum character count for the translated string. At Google, we’re piloting message description templates for different text elements (including headers, buttons, and error messages) to make the descriptions easier to create, and more complete, consistent, and useful. This has proven to be a huge time-saver. Are there terms you use frequently in your UIs, or phrases that are especially important to your brand? Creating a glossary for translators — a place where these terms are translated once, ideally vetted with local language speakers, and then stored for future use — is an effective strategy. Translation briefs at the feature and product level are another useful tool. Briefs should specify your audience, the desired tone and voice, user goals, and other high-level guidelines so that translators can keep the big picture in mind when translating individual strings. In my world, as manager of the Google Travel UX Writing team, we once had a series of funky review summaries to translate for our hotel search. An example: “Guests appreciated the bathrooms, though some mentioned they were small and cleanliness could be improved.” The translated results were even funkier, as you can imagine. By setting up time with the language specialists in Japan and Germany, two markets where the translations were especially problematic, we were able to troubleshoot issues and provide more targeted instructions. If you have a chance to visit some of the countries your text is translated for, go! Visiting India to participate in a user research study gave me a whole new perspective on how I write in English, and a first-hand understanding of how important it is to put global writing tips into practice. Translation entails taking text from one language and changing it into another language, sticking as closely to the original version as possible. Transcreation is different — it means rewriting the original text in a new language, making sure it’s still appropriate for the context for which it’s intended. Transcreators need to understand the brand voice, desired outcome, and other constraints thoroughly to make sure they can not only translate, but rewrite where appropriate, in order to make the text work better for local audiences. At Google, we use transcreation for many of the Assistant’s responses. If you ask the Assistant “How are you today?” in, say, Portuguese, you’ll likely get a different response (using euphemisms in that language) than you would in English, rather than a literal translation. The Assistant team works with local writers all over the world to make sure responses are culturally sensitive and appropriate, and meet user expectations. This might be an approach that works for you, too, especially if you’re looking to infuse some fun and personality into your translated product. User research is key, not only in your home market, but in every market in which you launch. Many factors that impact the writing and translations vary from place to place—from socio-cultural contexts to connectivity. If an in-person visit isn’t an option, remote testing services are available. One of the easiest and most popular is UserTesting.com. Take the time to get to know your users everywhere, and to optimize your content accordingly, and your products will be stronger for it. You might say strong as an ox. But, you know, in a less idiomatic way.